After last week's post on the 5 worst mascots, I decided to do a post of the 5 best mascots/sidekicks. But you know what the problem is? There aren't that many good ones! For this entire week, looking for any sidekick who wasn't annoying or a detriment to their teammates, there was only one name on my list - Transformers's Sparkplug. Introduced at the end of the first episode of Transformers, along with his son, Spike, Sparkplug worked on an oil rig attacked by the Decepticons in their search of energy sources. At first trying to fight off the invading robots by throwing wrenches, the oil workers were forced off the rig by Megatron. Sparkplug was pinned against a wall by Rumble, but when the robot knocks Spike into the water as well, Sparkplug kicks rumble off him and dives in after his son. Later, when the humans are saved by the Autobots, Sparkplug and Spike join them in fighting against the Decepticons. From that point on, Sparkplug shows that he's a much bigger help to the Autobots than his son could ever hope to be. 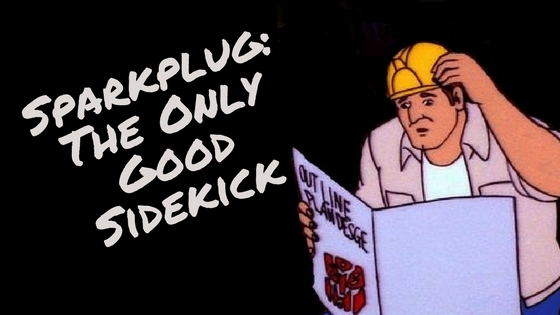 While Spike is out screwing things up left and right, being caught by the Decepticons or giving away the Autobots' positions, Sparkplug toils away helping Ratchet fix his fellow robots. How an oil rig worker knows how to fix alien robots isn't really explained, but if that's your biggest problem with the logic in this cartoon, I think you're sitting pretty. I think some of his best scenes are when he's arguing with Ratchet on how to fix another Autobot. It takes balls to argue with a giant robot about how to fix another giant robot. It would be like arguing with a rabbit on how to do surgery on a human. 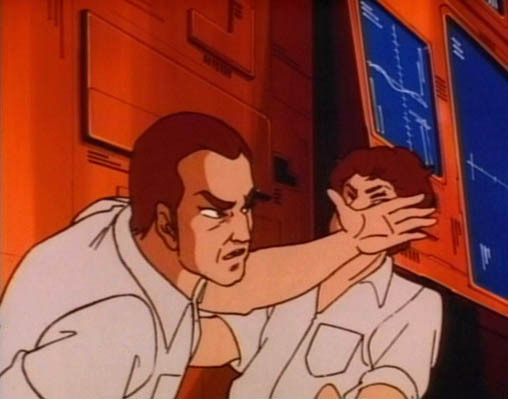 Sparkplug had a few key episodes, both of which kind of put him at odds with his son. The first is The Ultimate Doom, which had Sparkplug mind-controlled along with a ton of other humans by the evil scientist, Dr. Arkeville. When Spike tried stopping Sparkplug from leaving, he back-handed Spike! I've always wished I could do the same. Later, in Autobot Spike, after his son is injured in a Decepticon attack and left in a coma, Sparkplug builds a new robotic body for Spike out of a bunch of Autobot spare parts, turning him into a sort of Frankenstein's monster (which is really creepy, since that means the Autobots have a closet full of extra body parts). Spike finally gets even for the slap in the first episode, shooting Sparkplug off a cliff before regaining his senses and saving his dad. The rest of the first two seasons of Transformers had Sparkplug as Ratchet and Wheeljack's assistant, helping create devices and repair damages. He was capable and reserved, staying safe in the Ark and staying out of trouble. That makes him way better than his son and about 99% of the other mascot/sidekick characters. 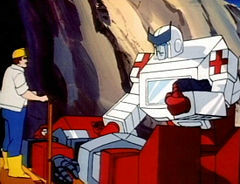 Looking at the criteria for a bad mascot, Sparkplug rates almost perfect - he wasn't too involved with the stories most of the time, he only twice caused the problems the Autobots faced, and he wasn't the least bit annoying, even voiced by the fantastic Chris Latta without any of his signature whine. In fact, I just learned that right now as I'm writing this as I had no inkling that Latta had provided his voice.